The Internet can be used in a variety of ways to support process writing as students develop their writing skills in various genres. A blog (a blend of the words web and log) is a web page with regular diary or journal entries that incorporates different postings by authors and responses to these posts by an audience. According to Bloch (2008), blogs are an ideal resource for the teaching of writing. 3They -make writing easier to share and support group work and feedback. 7-They can be used in various ways by the instructor. photos, and write their own blogs. Originally, Ning was free of charge, but now (after a free trial) there is a small monthly fee for a site with up to 150!members. A free alternative to Ning is Grouply (www.grouply.com), which offers social networking tools similar to those provided by Ning. The first writing task uses a class blog in a collaborative effort to compose a short argumentative essay. The second writing task used Ning in a collaborative effort to compose a short expository compare-and-contrast paragraph. The pros of social media as a learning tool. 1.) It is a familiar tool. Most of your students are on social networking platforms, and these services are already tools that students are generally comfortable with — and they can probably show you a thing or two in return. 2.) Improve your own knowledge and skills as an educator. By learning how to use these platforms as a teacher, you are making yourself more aware of issues surrounding students today. If a student tells you a classmate is harassing them over Twitter — doing something called ‘tweeting’, how can you investigate the situation unless you know how to search profiles and send messages yourself? From current news feeds, following public figures, learning a new language or improving software skills, there is an endless range of free resources available through social media — both linked and hosted. If you are looking for a debate, a video or commentary based on a recent news report, Facebook and Twitter’s search functions make them a valuable and free set of tools. 4.) Improvement of research skills. Being able to find information online is a skill that is now important in the workplace — and one that can be taught through lessons designed around social media platforms. 5.) The improvement of communication. If conducted within a controlled environment, then social media can be a way for students and teachers to communicate effectively. This could include sending out reminders, posting homework notes and organizing projects or events such as revision classes. Teaching students how to use social media in order to improve their job prospects can be extremely valuable. How do you find a job through Twitter? Who do you follow? Why do I need a LinkedIn profile? 7.) The promotion of digital citizenship. Students have to learn about how to conduct themselves appropriately online. Not only do they have to face the consequences if they behave in ways that are considered cyberbulling, but it is also necessary for them to understand privacy policies and the transfer of data online. By using online platforms, these lessons can be integrated within a more traditional school curriculum. Gen-Y and younger generations are stereotypically portrayed as being glued to their gadgets and are known for using such devices for social networking, games and entertainment purposes. Use this to your advantage. 9.) The ability to share learning material. Social media sites including Facebook, Twitter and Pinterest are full of user-generated content, links and shared items. This can be used to your classes’ advantage. Why not create a Facebook group dedicated to your class, or set a task to research something across these networks? 10.) The potential to appeal to different learning styles. Whether a learner naturally prefers kinetic, audio or visual learning, the varied types of media and information found on sites such as Facebook, Twitter and LinkedIn can appeal to a wide range of learner styles. Social networking requires no expensive equipment or modern upgrades — all you need is a computer or mobile device with an Internet connection. There are some students that find social interaction or contribution difficult — and engaging students through an online project can make this easier for them. The cons of social media as a learning tool. Unless the use of sites such as Facebook and Twitter are incorporated into a class plan in order to contribute towards an objective lesson aim, then it could become nothing more than a waste of time. Unless teachers properly supervise their students — and maintain control if the novelty of YouTube makes them too excited — it can be difficult to follow through with a lesson based on Internet research. 3.) The risk of cyberbullying. Cyberbullying is rampant on social networks and it is something teachers need to be aware of. Social media projects may not be confined to a classroom may— and if this is the case, teachers (and potentially parents) need to monitor student activity for any signs of bullying. If a balance is not maintained, then too much technological input can have a detrimental effect on social skills that children need to learn. 5.) The need for schools to research, understand and implement. Educational establishments are slowly making their presence known on social media for advertising and information-based purposes. However, it requires a good level of technical understanding to use and maintain social media effectively. 6.) Continual social media change. There are constant changes to platforms themselves and their security settings — of which schools and teachers must keep up to date with and act accordingly. 7.) The need to manage multiple sites and keep updated. If schools decide to make use of these platforms, pages and profiles should be updated in order to prevent them becoming stagnant. 8.) The possibility of malware infections or phishing scams. Social networks are now a breeding ground for scam artists to lure both children and adults to exchange personal information or in order to gain access to a computer network. Educational establishments need to be aware of this risk and monitor their usage accordingly. 9.) The need to filter and plan. Schools have a duty of care to their students, and as such, the use of social media platforms has to be planned and executed appropriately in order to protect children from inappropriate communication, images or video. Several options are available, such asYou Tube for schools. 10.) Inappropriate content sharing or exposure. It is important for children in school to be protected fromin appropriate content, but it is also necessary for teachers to monitor what they are sharing between themselves. It is not only a matter of duty to students — but protecting yourself as the teacher responsible for them. 11.) Controlling device use in class. Teachers have to grow eyes in the back of their heads — and when mobile devices are used in class, the need for continual monitoring and regulation increases. 12.) Exposing the ‘haves’ and ‘have nots’. 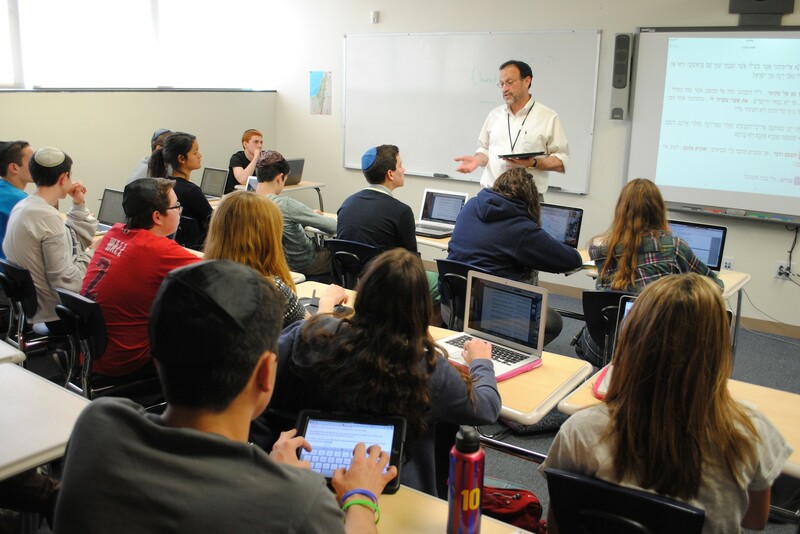 Once you introduce social media use in to a classroom, then unless the school has the facilities to supply each student, it is sometimes the case that students are asked to bring their own device. This in turn can highlight divides between students who can afford certain devices, and those that cannot. Web-based social networking tools offer excellent opportunities to conduct the pre-writing, drafting, peer review, and revising steps of the writing process. In addition to developing important writing and other skills in English and learning to work collaboratively on projects, using the Internet for ESL/ EFL instruction also advances students’ digital literacy. 4-Talented / Gifted and Slow Learners. 5-A Learning and Teaching Environment. 6-Creativity in English language teaching. 7-The role of the Good teacher, Bad Teacher and Headteacher.